Based on the design of the Infinite Grace eternity band, this wedding band was created to fit with the Infinite Love engagement ring. 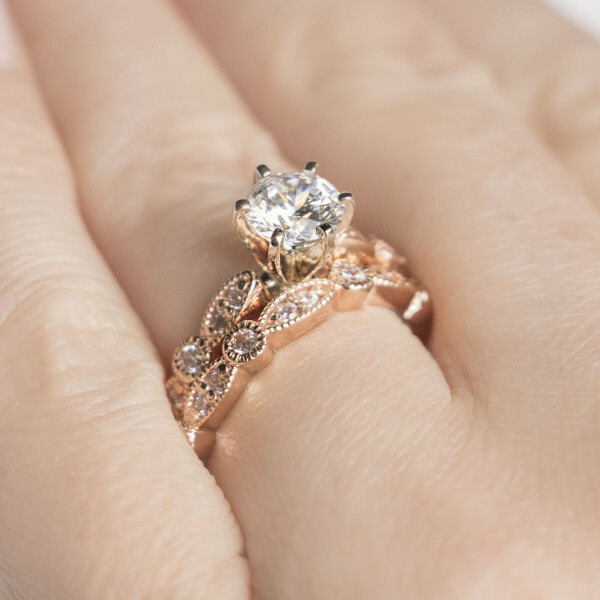 The romantic, lacy look is created with alternating Round Brilliant cut Nexus Diamond alternatives in bezel settings and illusion East-West Marquise stones, which are actually two small Round cut accents set within detailed metalwork. 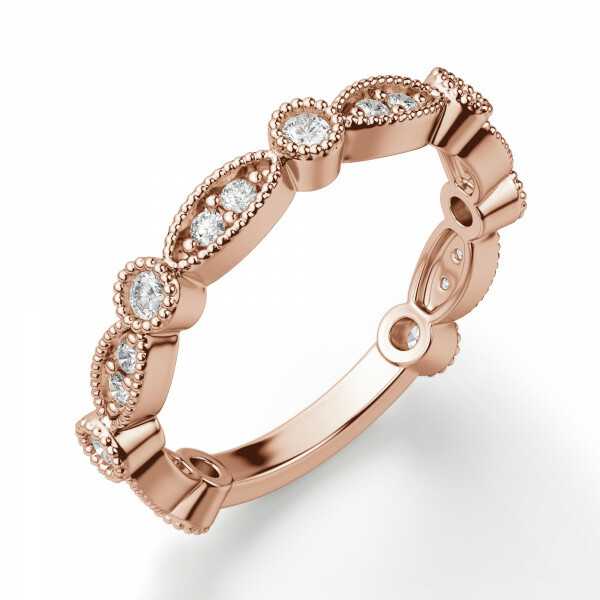 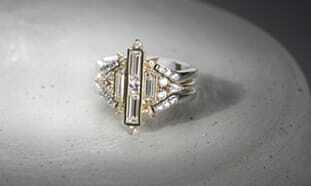 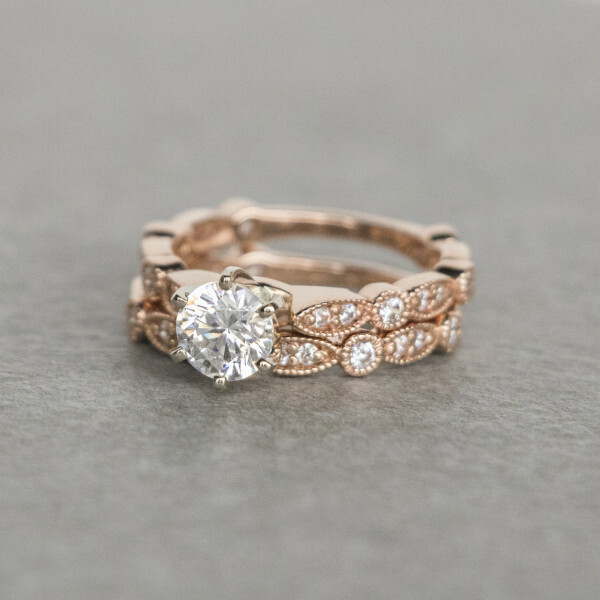 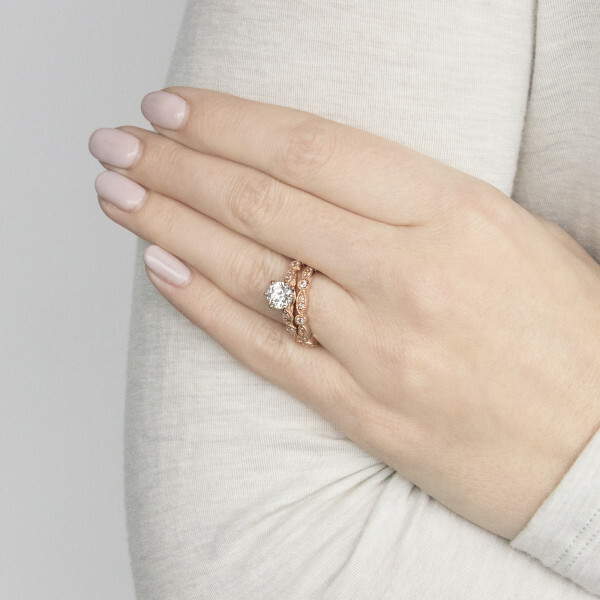 The whole band is finished with delicate milgrain metalwork that shimmers in the light. 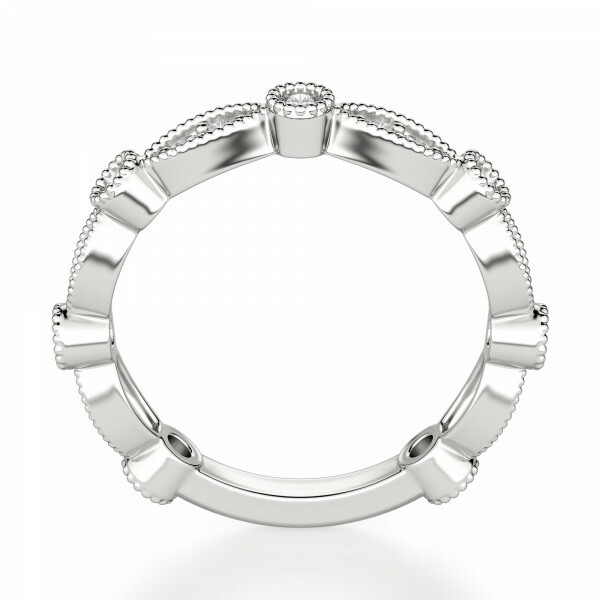 The bottom of the shank is smooth for ease of wear and comfort. 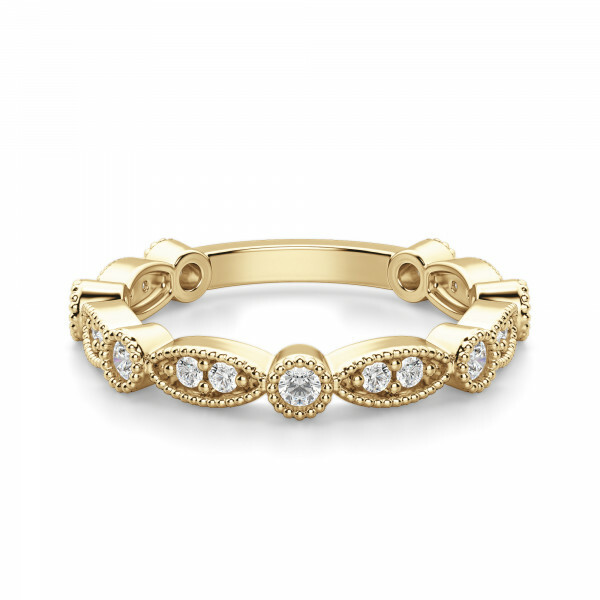 Wear this band as a set with the matching engagement ring, on its own, or in a stack with your favorite bands.